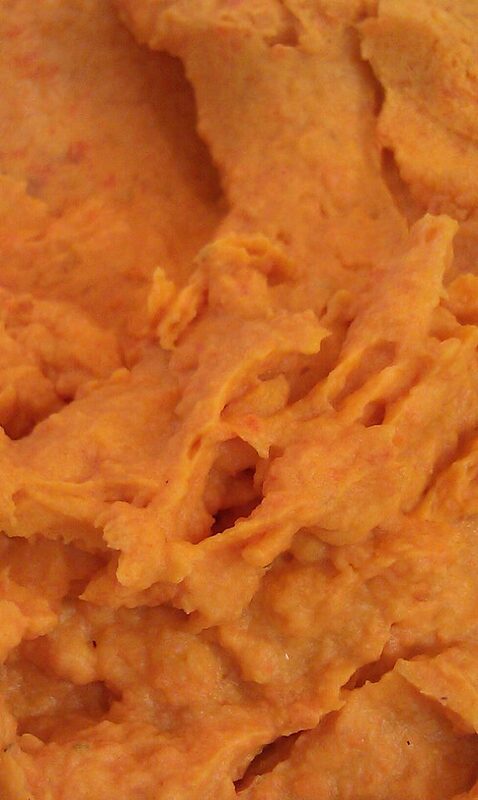 Cook Sweet Potatoes & Carrots until soft, then puree in food processor. Pre make Creme Fresh ( you can substitute sour cream if you must) Combine everything in food processor, then bake for 30 minutes on 250. Serve hot! Goes GREAT with Thanksgiving dinner!